Disney’s latest live-action movie, Christopher Robin, is unlike any of their other live-action reboots. Rather than retelling the same story that we already know, Christopher Robin came back to the Hundred Acre Woods decades later to show what had become of Christopher Robin, Winnie the Pooh, and the rest of their friends. This Disney story took a similar style to Steven Spielberg’s Pan, featuring the former child hero returning as a work-stricken adult to their child-like world that had barely changed a bit. All things considered, Christopher Robin did it quite a bit better, simply because the premise is much more believable. It’s also more relatable for adults, taking them on a nostalgic ride through their childhood as well. Ewan McGregor really helped sell the emotion of the movie, acting phenomenally considering that a majority of his co-stars were CGI stuffed animals. As the movie progresses, his character becomes less and less serious and more playful, and McGregor pulls this transition off phenomenally, being both funny and believable. Many actors, specifically comedy actors, would have overdone this transition, making their funny moments over the top just to get a laugh. McGregor still managed to get a laugh, humorously yet believably becoming more like Pooh as the movie progressed in a natural, yet still entertaining manner. While the return of all of the animal characters was fantastic, Pooh truly stood out as the star of the show. Eeyore’s self loathing, Piglet’s anxiety, and Tigger’s pride with his uniqueness certainly added their own factors to the mix, but Pooh still stood out. This movie reminded audiences of why Winnie the Pooh was such a great character to begin with: he represents everything good in this world. He teaches us to appreciate the little things and to take the time to appreciate what you have. The genius part of Christopher Robin is that, when the movie actually started, Christopher Robin and Winnie the Pooh were polar opposites. This was an incredibly clever way to start the story, as in all of the previous Winnie the Pooh stories, Christopher Robin and Pooh were almost always on the same page. This change to Christopher Robin‘s character added a new twist to the movie that would certainly be relatable for any adults who watched Winnie the Pooh as a kid. This entire piece of character development was a clever writing twist that certainly helped to keep the movie incredibly interesting. Another factor that kept the movie interesting and visually entertaining was the color scheme. While the trailers showed that it would have a desaturated look, the finished product itself had a gorgeous red tint to it. It made the sunset scenes in Hundred Acre Wood absolutely beautiful, turning the classic scenes from the cartoons and books into an even more gorgeous piece of imagery. All things considered, the latest live-action movie from Walt Disney Pictures is a truly heartwarming experience that any Disney fan is sure to enjoy. 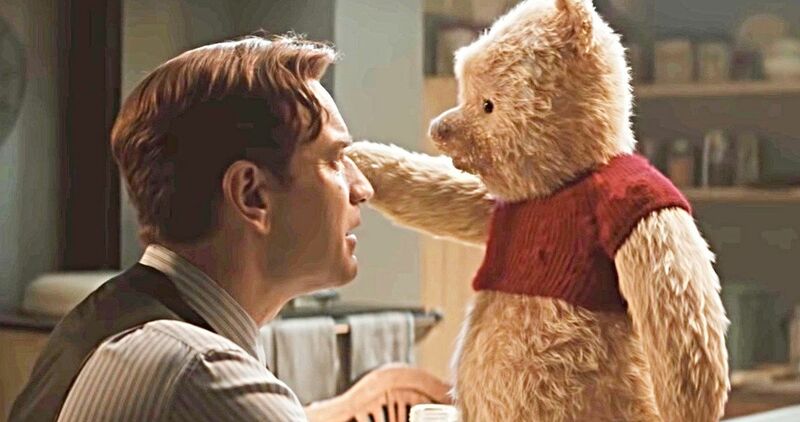 The return of the classic characters, and the in-depth development from Christopher Robin, portrayed by Ewan McGregor, made the movie enjoyable and touching. Though it may not bring in the big bucks like Beauty and the Beast did, Christopher Robin is still a great success from Disney and stands out from the rest of their live-action movies.